A Place Of Strangers is Satisfyingly complex with a whiff of Le Carré. When a successful TV journalist returns for Christmas to the decaying Tudor mansion where his step-parents live something is not right. Approaching death, they are reserved and enigmatic, as if they are determined to take one last secret with them to the grave. He suspects that they have lied to him about who his real parents were – and what happened to them. And so begins an investigation that will reveal his past – and determine his future. As he digs deeper, he starts to uncover a terrifying conspiracy – one of murder and revenge, with its roots in the greatest crime in history, the Holocaust. 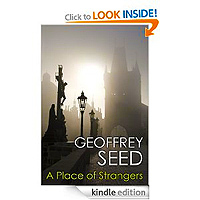 Inspired by a story Geoffrey Seed investigated as a journalist, ‘A Place of Strangers’ is a stunning, literary thriller that combines history and suspense. 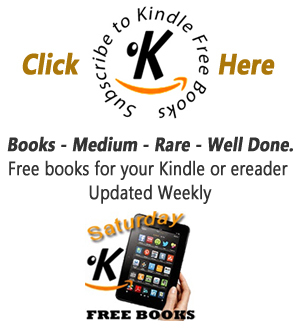 It will appeal to followers of writers such as Robert Harris, Alan Furst and Alan Judd. "Intelligent, seamless and satisfyingly complex with a whiff of Le Carré." - Patrick Malahide. Geoffrey Seed is a journalist who worked for the Daily Mail and then specialised in producing major TV investigations for programmes such as World In Action and Panorama. ‘A Place of Strangers’ is his first novel. This debut novel by journalist (from the Daily Mail) Geoffrey Seed is a stunning, compelling thriller that has all the qualities of a great narrative and a promising start to a literary career. I was sat gripping the pages tightly on the edge of my seat for hours lost within a most exciting, thrilling tale that was as cleverly crafted as a Le Carré or a Dan Brown. The delicately woven plot complete with many surprises, twists and turns is both fascinating and quite remarkable hence I can honestly say it quite overwhelmed me. This book really does surpass and exceed all expectations, especially as it is Seed's first ever novel and which I grantee will impress those readers who are a fan of this genre. If you are looking for something totally original, unique and with a certain fluid but yet unpredictable style then I highly recommend that you take a look at this book for it may just surprise you. Above all, this thriller is very well written. The grammar is correct throughout and the language is well chosen. Such uncommon attention to the writer's craft makes the book a joy to read. The plot is fairly complex but does not rely on clichés or unreasonable coincidences. The story remains intriguing and the unravelling continues to make sense. The characters are well drawn and behave in a believable way. No one has super powers or incredible expertise. A thoughtful novel that holds the attention throughout.